Following on from the All Black skis developed with Zai, the carbon racing bike developed with BMC, the sledge made from wood, carbon and leather developed with ECAL, the soundboard developed with JMC Lutherie and the High Fidelity headphones developed with Monster, Hublot is now launching its sunglasses designed and developed in the same spirit: collaborate with the best to create a product which is different, unique and pioneering. Hublot’s sunglasses have been developed with companies who are experts in their field: Marcus Marienfeld AG based in Ried-Brig, in the Swiss Canton of Valais and Zeiss (inventor of the anti-reflective coating). Handmade in Switzerland, these sunglasses benefit from the highest level of expertise. They are the fusion of a unique, pure, elegant and contemporary design – exclusive to Hublot, with high-performance adaptable lenses and a high-tech titanium frame – a remarkable technical feat. The blue-grey CR-39 lenses bearing the Zeiss signature offer a very high sun protection factor and excellent optical performance. Their inner surface benefits from Zeiss’ famous antireflective coating which gives it exceptional properties, for example preventing internal reflections and making it water repellent. On the outer surface, the Tri-Flection™ coating, with its unique design, means that the sunglasses require less cleaning, as fingerprints, marks and dust adhere less to the surface. In summary, these sunglasses offer unbeatable results in terms of optical quality, purity, adhesion, scratch resistance and durability. No other lens, tint or coating could achieve this result. They can be adapted to the customer’s vision on request. The adjustable frame features a unique and different design specially developed with the Hublot teams. Pure, elegant, contemporary, fine and streamlined, these sunglasses also feature Hublot’s famous codes such as the H-shaped screws and the brand logo on each arm, with a rubber insert at the end for comfort. In short, the entire product has been conceived, developed and designed to reflect Hublot’s pure DNA: sport, performance and technology. 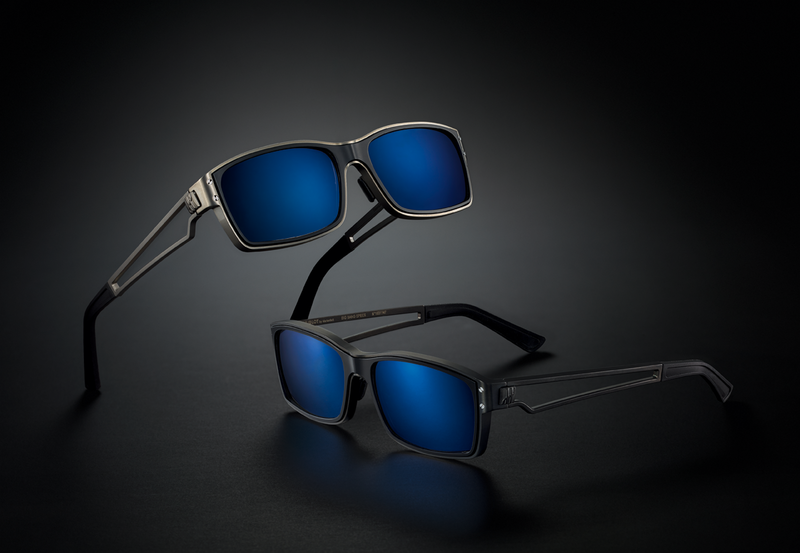 Hublot sunglasses are available in two versions: Titanium Black and Titanium. Each pair of sunglasses is numbered.